Fig. 1. 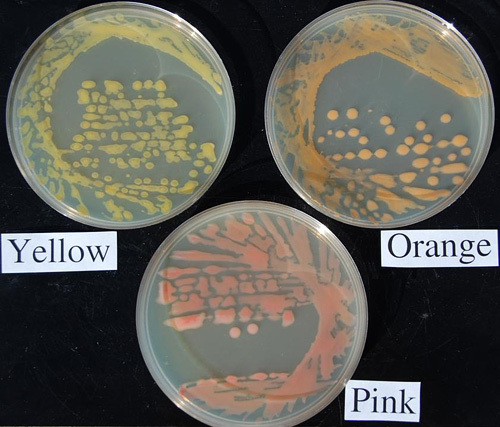 The pink wilt variant growing in culture compared to the typical yellow and orange variants on nutrient broth yeast extract medium (NBY). The orange variant is the same Great Northern isolate used in these studies as a comparison.